Snail is a common name loosely applied to shelled gastropods . The name is most often applied to land snails , terrestrial pulmonate gastropod molluscs . However, the common name snail is also used for most of the members of the molluscan class Gastropoda that have a coiled shell that is large enough for the animal to retract completely into. When the word "snail" is used in this most general sense, it includes not just land snails but also numerous species of sea snails and freshwater snails . Gastropods that naturally lack a shell , or have only an internal shell, are mostly called slugs , and land snails that have only a very small shell (that they cannot retract into) are often called semi-slugs . Snails that respire using a lung belong to the group Pulmonata . 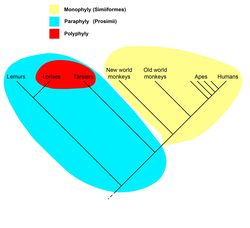 As traditionally defined, the Pulmonata were found to be polyphyletic in a molecular study per Jörger et al. , dating from 2010.  . But snails with gills also form a polyphyletic group; in other words, snails with lungs and snails with gills form a number of taxonomic groups that are not necessarily more closely related to each other than they are related to some other groups. Snails can be found in a very wide range of environments, including ditches , deserts , and the abyssal depths of the sea. Although land snails may be more familiar to laymen, marine snails constitute the majority of snail species, and have much greater diversity and a greater biomass . 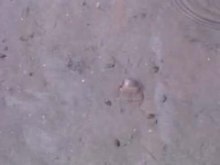 Numerous kinds of snail can also be found in fresh water . Most snails have thousands of microscopic tooth-like structures located on a banded ribbon-like tongue called a radula . 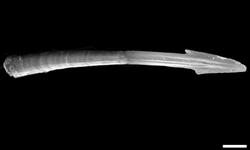 The radula works like a file, ripping food into small pieces. Many snails are herbivorous , eating plants or rasping algae from surfaces with their radulae, though a few land species and many marine species are omnivores or predatory carnivores . 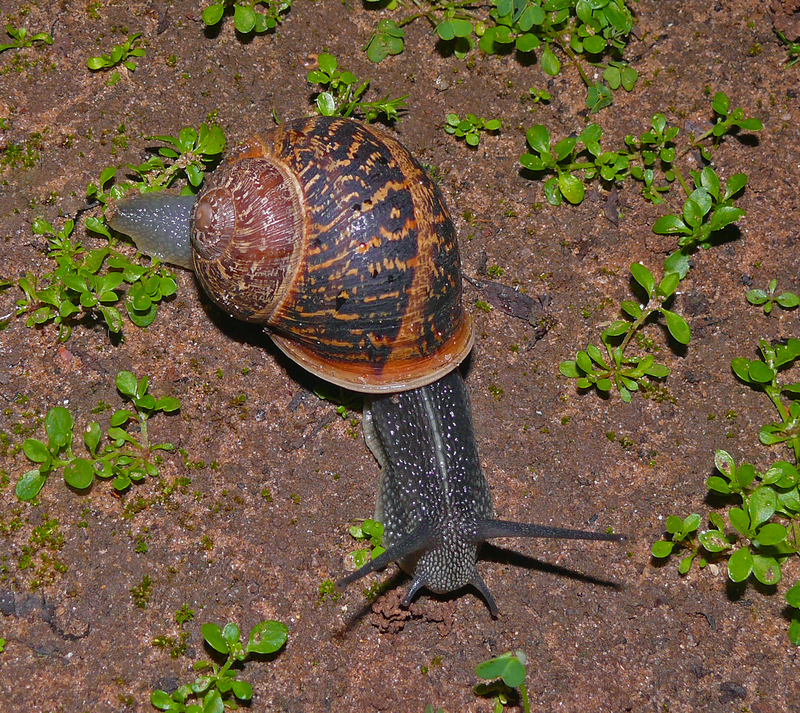 Several species of the genus Achatina and related genera are known as giant African land snails; some grow to 15 in (38 cm) from snout to tail, and weigh 1 kg (2 lb). The largest living species of sea snail is Syrinx aruanus ; its shell can measure up to 90 cm (35 in) in length, and the whole animal with the shell can weigh up to 18 kg (40 lb). Slugs as a group are far from monophyletic ; biologically speaking "slug" is a term of convenience with little taxonomic significance. 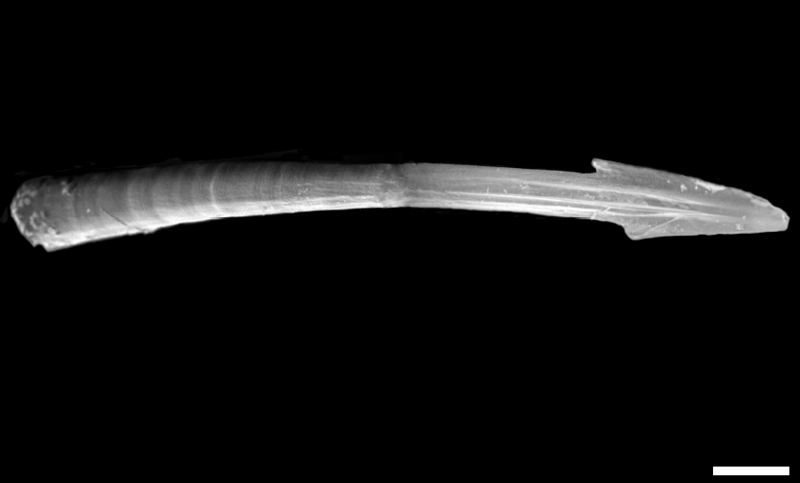 The reduction or loss of the shell has evolved many times independently within several very different lineages of gastropods. The various taxa of land and sea gastropods with slug morphology occur within numerous higher taxonomic groups of shelled species; such independent slug taxa are not in general closely related to one another. Land snails are known as an agricultural and garden pest but some species are an edible delicacy and occasionally household pets . 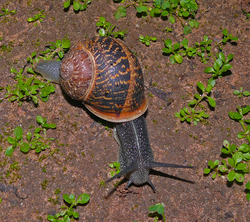 The decollate snail ( Rumina decollata ) will capture and eat garden snails, and because of this it has sometimes been introduced as a biological pest control agent. However, this is not without problems, as the decollate snail is just as likely to attack and devour other gastropods that may represent a valuable part of the native fauna of the region. 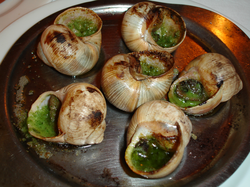 In French cuisine , edible snails are served for instance in Escargot à la Bourguignonne . The practice of rearing snails for food is known as heliciculture . For purposes of cultivation, the snails are kept in a dark place in a wired cage with dry straw or dry wood. Coppiced wine-grape vines are often used for this purpose. 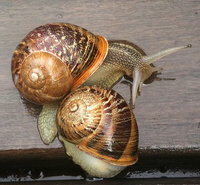 During the rainy period, the snails come out of hibernation and release most of their mucus onto the dry wood/straw. The snails are then prepared for cooking. Their texture when cooked is slightly chewy. Land snails, freshwater snails and sea snails are all eaten in a number of countries (principally Spain , Philippines , Morocco , Nigeria , Algeria , Cameroon , France , Italy , Portugal , Greece , Bulgaria , Belgium , Vietnam , Laos , Cambodia , Cyprus , Ghana , Malta , Terai of Nepal , China , Northeast India states such as Manipur , Tripura and parts of the United States). In certain parts of the world, snails are fried. For example, in Indonesia , they are fried as satay , a dish known as sate kakul . The eggs of certain snail species are eaten in a fashion similar to the way caviar is eaten. In Bulgaria , snails are traditionally cooked in an oven with rice or fried in a pan with vegetable oil and red paprika powder. Before they are used for those dishes, however, they are thoroughly boiled in hot water (for up to 90 minutes) and manually extracted from their shells. The two species most commonly used for food in the country are Helix lucorum and Helix pomatia . Because of its slowness, the snail has traditionally been seen as a symbol of laziness. In Christian culture, it has been used as a symbol of the deadly sin of sloth . Psalms uses snail slime as a metaphorical punishment. Snails were widely noted and used in divination . 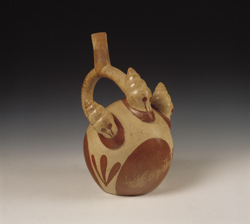 The Greek poet Hesiod wrote that snails signified the time to harvest by climbing the stalks, while the Aztec moon god Tecciztecatl bore a snail shell on his back. This symbolised rebirth; the snail's penchant for appearing and disappearing was analogised with the moon . In contemporary speech, the expression "a snail's pace" is often used to describe a slow, inefficient process. The phrase " snail mail " is used to mean regular postal service delivery of paper messages as opposed to the delivery of email , which can be virtually instantaneous. 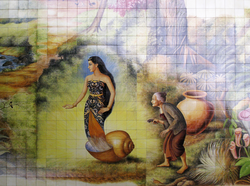 Keong Emas ( Javanese and Indonesian for Golden Snail ) is a popular Javanese folklore about a princess magically transformed and contained in a golden snail shell. The folklore is a part of popular Javanese Panji cycle telling the stories about the prince Panji Asmoro Bangun (also known as Raden Inu Kertapati) and his consort, princess Dewi Sekartaji (also known as Dewi Chandra Kirana). 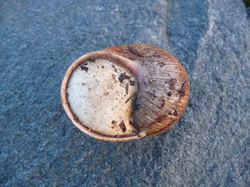 Helix pomatia sealed in its shell with a calcareous epiphragm . All information for Snail's wiki comes from the below links. Any source is valid, including Twitter, Facebook, Instagram, and LinkedIn. Pictures, videos, biodata, and files relating to Snail are also acceptable encyclopedic sources. "On the origin of Acochlidia and other enigmatic euthyneuran gastropods, with implications for the systematics of Heterobranchia"
"Molecular basis for the regenerative properties of a secretion of the mollusk Cryptomphalus aspersa"
"Lovebirds and Love Darts: The Wild World of Mating"
Other wiki pages related to Snail.